« Is your car struggling through its last winter? 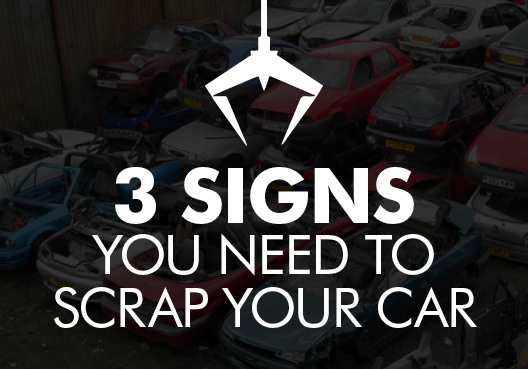 You might be surprised by how much you could get for scrapping your car, even if it’s not viable to sell it any other way – and here are three situations where scrapping a car can tip the balance in terms of what makes the most sense. Realistically, most cars are not 100% weatherproof – there are just too many seams and seals, windows and doors, vents and air intakes to keep the elements out completely. This has its advantages, as you probably wouldn’t want to be trapped in a completely airtight container if your central locking fails, for instance. But as vehicles age, you’re more likely to find you have problems with condensation and water ice forming on the inside, which can quickly turn your car’s previously plush interior into something resembling the Eden Project. If you’re struggling with mould inside your car or along the window seals – or even worse, rust patches forming on the exposed metal parts – it’s really time to start thinking about scrapping it. Once the rot sets in, it’s very hard to fully clean a car; rust can permanently weaken metalwork and mould spores can hide in the vents just waiting to be blasted all over your upholstery again, so be realistic about whether it’s worth even trying if your car is of a certain age. A flat battery can usually be recharged, but it could be a symptom of deeper problems with your electrics or your alternator, and recharging a battery after a jump start can damage the alternator too. If you have a stop-start battery – one that deliberately cuts the engine when you stop at traffic lights, for example – you’re in even bigger trouble if it runs flat, as replacing the battery will usually mean reconfiguring the onboard computer at a cost of several hundreds of pounds. While we’re not suggesting one cold morning is a reason to scrap a car in good working order, it’s worth keeping an eye on this over time, as more than an average number of failed ignition attempts soon starts to stack up to a sign that something is seriously wrong under the hood. It’s normal to be nervous about your MOT renewal, but if it’s more like a sense of impending doom, ask yourself what you’re so afraid of. Older cars typically need more work to get them through their MOT, and that means the cost gradually gets closer to the actual value of the car. If you’re paying nearly as much – or even more – each year to get your car through its MOT as it would cost to replace it, then you’re at the limit of economically viable repair. Scrapping your car can actually put money in your pocket, even if a lack of genuine road worthiness means you couldn’t part-exchange the vehicle. Add in the future savings on sailing through your next few MOT tests with little to no repair work needed, and that can add up to a persuasive economic argument for scrapping your car before its next test is due.